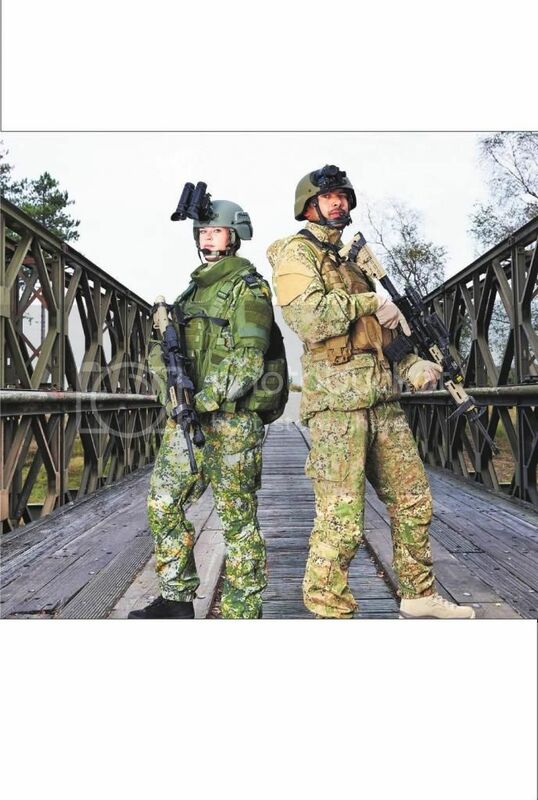 They are wearing a new prototype camouflage pattern, its expected to enter the service in 2014. All branches of the army will wear it, this to make an end to the various uniforms worn by different branches of the armed forces. Its made by Ten Cate and it shows a modern print. However it shows a clear resemblence with an old programme from the 1980's which was terminated, this scheme had a dot pattern like the German Flecktarn. Unfortunately that specific camo looked a lot like the rare Waffen SS summer 1944 pattern, so it was cancelled for that reason. See link from Ten Cate the manufacturer for more pictures. 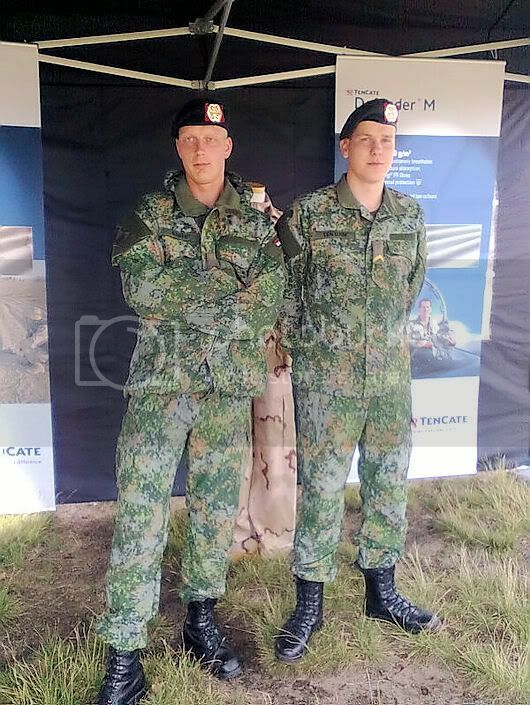 Last week soldiers from the airmobile brigade on Curacao tested this clothing as well. They wore both the standard and the desert cloths. With some luck we will receive this new uniform next year! The new uniform is being tested. Rumours say the new variant will enter the service in 2015. 2 variants are made, the one shown above for western Europe and a pattern with more yellow dots for warm areas.